Kartik Poornima (Kartik purnima) is a Hindu holy day celebrated on the full moon day or the fifteenth lunar day of Kartik (November–December). It is also known as Tripuri poornima and Tripurari Poornima. It is sometimes called Deva-Diwali or Deva-Deppawali - the festival of lights of the gods. The Kartik Purnima festival also coincides with the Sikh festival of Guru Nanak Jayanti. Kartik Poornima is closely associated with Prabodhini Ekadashi which marks the end of Chaturmas, a four-month period when Vishnu is believed to sleep. Prabodhini Ekadashi signifies the awakening of the god. Chaturmas penance ends on this day. Many fairs that begin on Prabodhini Ekadashi end on Kartik Poornima, Kartik Poornima usually being the most important day of the fair. Fairs that conclude on this day include Prabodhini Ekadashi celebrations at Pandharpur and Pushkar Fair. Kartik Poornima is also the last day to perform Tulsi Vivah ceremony that can be performed from Prabodhini Ekadashi. In Pushkar, Rajasthan, the Pushkar Fair or Pushkar mela commences on Prabodhini Ekadashi and continues till Kartik Poornima, the latter being the most important. This fair is held in the honour of god Brahma, whose temple stands at Pushkar. A ritual bath on Kartik Poornima in the Pushkar Lake is considered to lead one to salvation. It is believed circling the three Pushkars on Kartik Poornima is highly meritorious. Sadhus gather here and stay from ekadashi to full moon day in caves. About 200,000 people and 25,000 camels assemble in Pushkar for the fair. Pushkar fair is Asia's largest camel fair. A ritual bath at a tirtha (a sacred water body like a lake or river) at a pilgrimage centre is prescribed on Kartik Poornima. This holy bath is known as "Kartik snana". An holy bath at Pushkar or in the Ganges river, especially at Varanasi is deemed as most auspicious. Kartik Poornima is the most popular day for bathing in the Ganges at Varanasi. Annakuta, an offering of food to the deities, is held in temples. People who have taken vows on Ashwin full moon day, end them on Kartik Poornima. God Vishnu is also worshipped on this day. Any form of violence (himsa) is prohibited on this day. This includes shaving, hair-cutting, cutting of trees, plucking of fruits and flowers, cutting of crops and even, sexual union. Charity especially donation of cows, feeding of Brahmins, fasting are religious activities prescribed for Kartik Poornima. 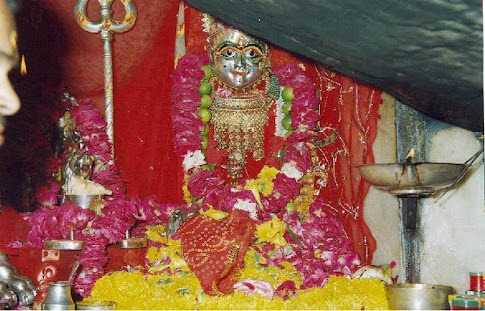 Tripuri Poornima is only next to Mahashivratri, amongst festivals dedicated to Shiva worship. To commemorate the killing of Tripurasura, images of Shiva are carried in procession. Temple complexes in soutern India are lit up throughout the night. Deepmalas or towers of lights are illuminated in temples. People place 360 or 720 wicks in temples, to secure escape reaching hell after death. The 720 wicks symbolizes the 360 days and nights of the Hindu calenadr. In Varanasi, the ghats come alive with thousands of diyas (brightly-lit earthen lamps). People gift lamps to priests. The lamps are kept throughout the night in houses and Shiva temples. This day is also known as "Kartik Diparatna" - the jewel of lamps in Kartik. Lights are also floated in miniature boats in rivers. Lights are placed under Tulsi, Sacred fig and Amla tress. The lights in the water and under trees are believed to help fishes, insects and birds who saw the light to attain salvation.